Made by Sweetwater Trading Company. 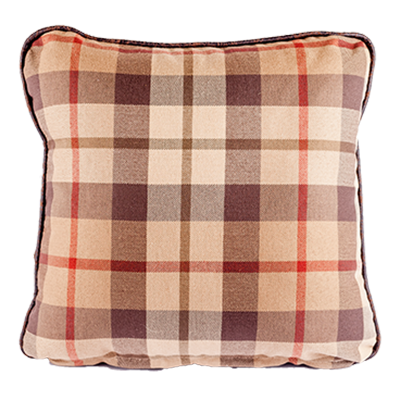 Pillow measures 16" x 16". Leather front, fabric back. From Robin李 of Waynesville, North Carolina on 1/8/2019 . 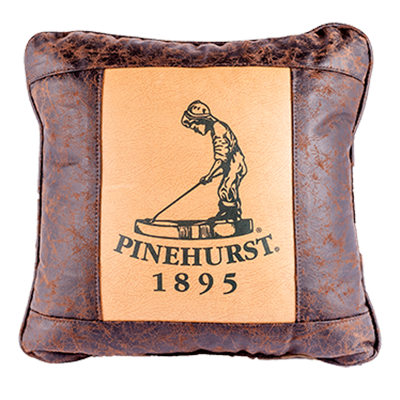 I purchased this as a gift for my daughter and her fella because Pinehurst is a special spot for them. The quality and craftsmanship are exceptional. Seeing their delight when they opened the gift confirmed this will be a forever treasure.